the hat that is as warm and unique as the people who wear them. It’s flat-out cold. And snowing. You must own a Yooper Chook. Chooks. They started with the French voyageurs who explored the UP as early as the 1600’s. This hardy lot of men wore hats called “touques” (pronounced “tew-ks”). 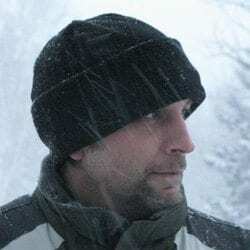 Over the years, Canadians and Yoopers have tweaked both the style and the pronunciation of the touque and made it their own. A majority of Yoopers grew up with our chooks and never called them anything else. Got mine at the UP Pond Hockey Trny in St Ignace! 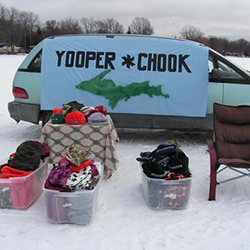 I love my ne Yooper Chook! !